When it come to recycling office waste, businesses have to be very careful to make sure they comply with all the laws and regulations. GHS Recycling understands all of these and aim to help your business to complete with these laws, including the Data Protection Act 1998. Here at GHS Recycling, we like to make our services as simple as possible for our clients. We can arrange our collection times to fit into your businesses timetable, and we can arrange a one off collection; or daily, weekly or monthly collections. Our intentions is to help your business go about it’s daily routine without having the stress of legal obligations. Our procedure is to collect your office waste at the specified time, the waste in loaded into one of our secure trucks and taken to our recycling facilities where your office waste is kept under protection until recycled in the correct manner for reuse. All of the office waste is kept under protection at our facilities before recycling. Monitor alarms and cameras are in use at facilities and each member of staff has signed a confidentiality agreement, so your office waste is in safe hands. All of the office waste that we recycle is reused. Did you know that around 70% of office waste is high grade white paper, which is the most sought after recyclable? By recycling your office waste, you can reduce business costs and your environmental footprint. We can supply your company with waste recycling bins and bin bags to help encourage recycling within your company. Once we’ve collected your office waste in Southampton, we can sort through your recycling to make sure that they are all recycled in the correct way. All of these materials are recycled and reused, with the sustainability of our environment in my mind. Our passion is to protect the environment for everyone. 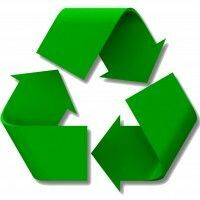 By recycling not only will you be helping the environment, but you will always be improving your businesses costs. Through our recycling, with each material we reuse, we reduce the amount of harm caused to the environment. GHS Recycling will always try to make recycling easy for our customers. All you need to do is put the recyclable materials into the recycle bins, let us know the best time to collect your waste and we’ll do the rest! Office waste recycling couldn’t be simpler with GHS Recycling.